Pneumatic solenoid valves are used to convert electrical signals into pneumatic functions. Applying electricity to the solenoid quickly directs air through the valve and into the circuit. 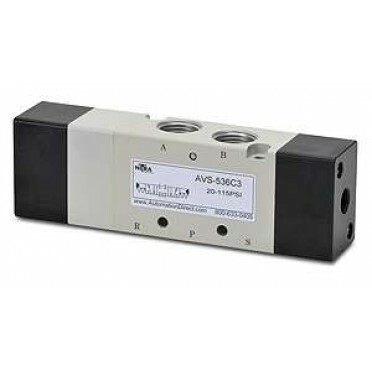 Features & Specifications :Akari 2/2 Way Direct Operating Solenoid Valve 1/4" 2W025-08Type of Pr.. Specifications :4/3 Disc Rotary Valve Heavy Side Mounting 1/2" TG-34-ASize : 1/2 Inch.. Features & Specifications :Akari 2/2 Way Direct Operating Solenoid Valve 3/8" 2W040-10Type of Pr..